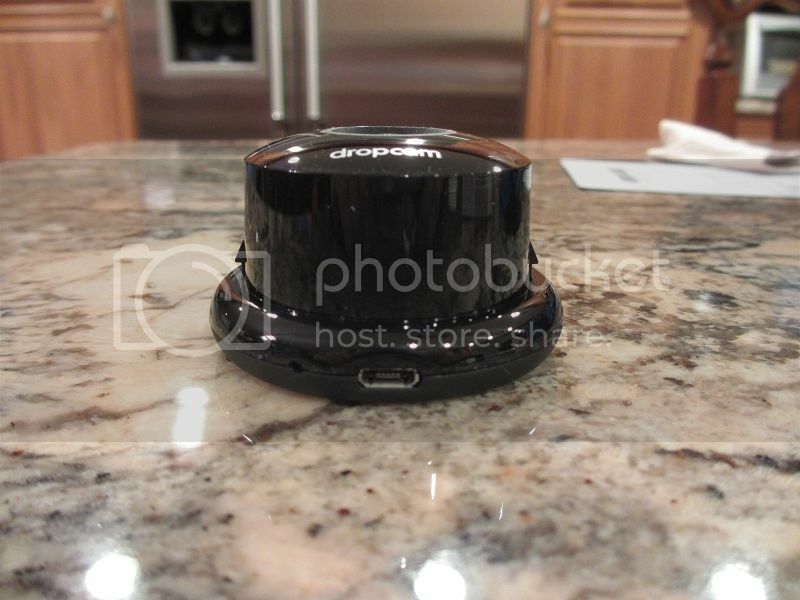 After so many smartphone "accessories" I shared with all of you in my detailed reviews, I decided to turn my attention this time to something a little bit different, a very cool smartphone "companion" gadget I just had a pleasure to review - a Dropcam wireless video monitor. With two young kids in the house, my experience of video monitoring started with a simple baby cam back when they were born. But as a lot of you know, even a high quality baby cam has a very limited functionality, while still carrying a hefty price tag. 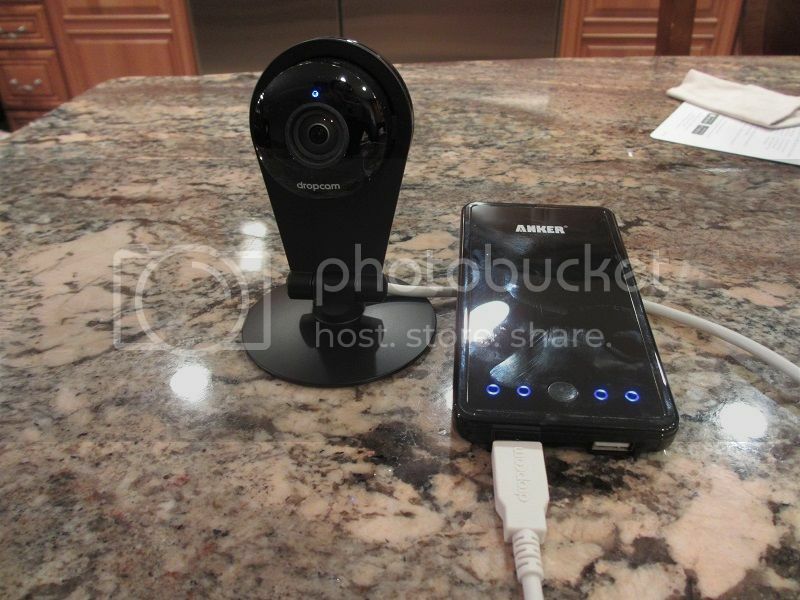 If you are looking for a more advance functionality, and perhaps want to do more than just baby monitoring but also sharing video cam with your family from far way, or maybe implement security surveillance of your home or business with access from your smart device or laptop, I discovered a really great solution for that. Let's take a closer look at what I have found. After reading everything this camera is capable of, I was a little surprised when Dropcam arrived in a very compact packaging box. I guess my perception of "monitoring camera" had this large complicated piece of equipment with a rotation motor to enable wide angle of view, attached wireless antenna, and some bulky power adapter. Here I was looking at a small round device less than 2 1/4" in diameter and 1.5" in height. 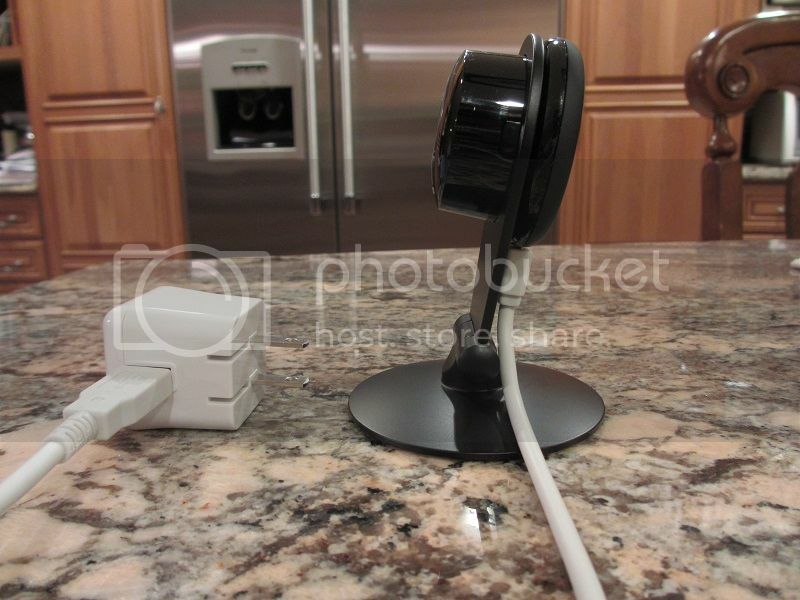 In addition to camera, there was also a very slim metal stand, 10ft high quality usb cable, 2A usb travel wall adapter, and wall mounting plate with mounting screws. There was also a piece of paper with 3-step setup instruction. Although I was still a bit skeptical about functionality, close examination of everything showed a very high level of build quality and solid construction. The aluminum metal stand has a nicely balanced base with a non-slip rubber feet, and holder for the camera with an adjustable 180deg hinge. 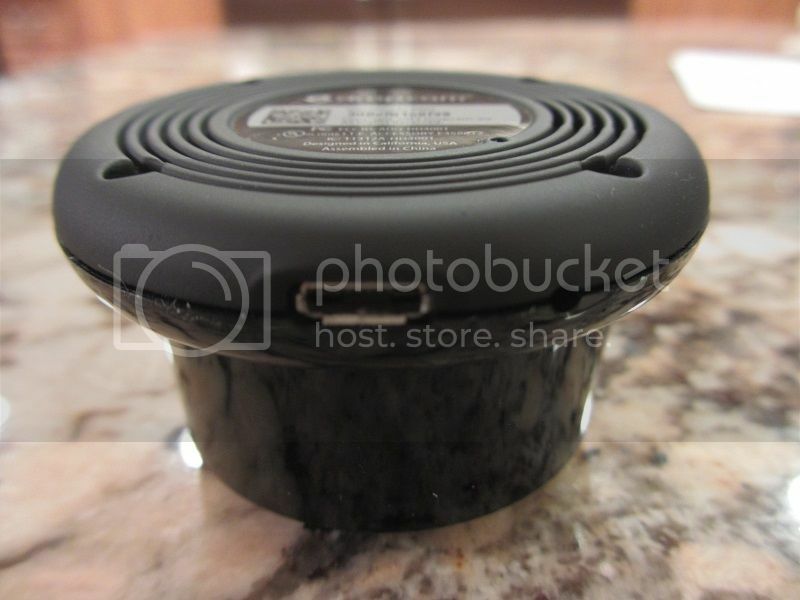 The wall adapter is a plastic cup that interlocks with a base of the stand if you want to place it permanently somewhere on the wall. The unit is powered up off usb cable with micro-usb end going to the camera, no need for any proprietary connectors or special wall power adapters. You can use your smartphone charger and cable, as long as you can provide 2A of current required to power up this camera. As a matter of fact in situation where you want to setup a temporary video monitoring, having such common power up options enables you to use external battery charger as I demonstrated in one of my pictures below. I was actually able to setup a video monitoring for about 10-12hr (my 10,000 mAh ext battery was able to power up Dropcam for that long) and didn't have to limit myself to a power outlet. If you want to get more creative, you can probably set it up with some clamp car mount to attach it to a window with a suction base. The options for mounting of this camera are limitless, but it will be pointless without a quality video monitoring. 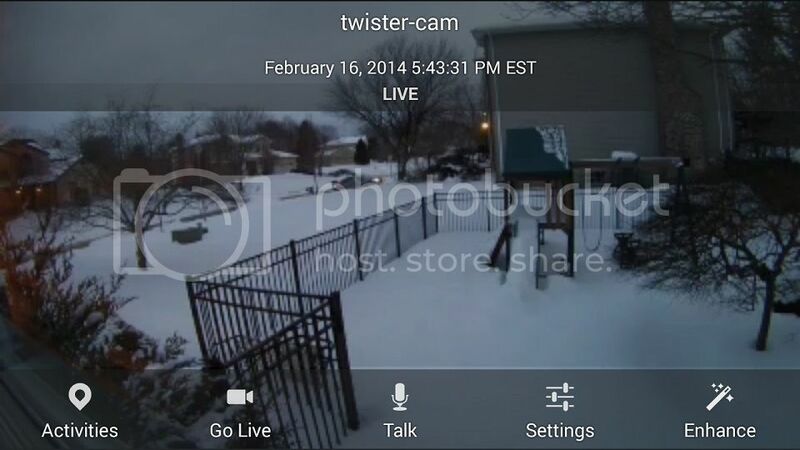 First, you start with a setup which Dropcam advertises as "60 second setup". 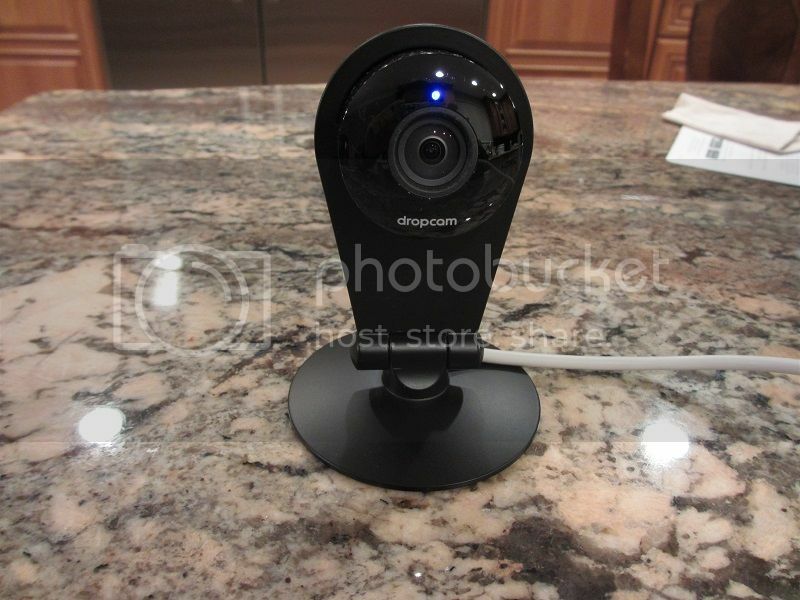 You take the camera out of the box, plug in usb cable and connect it to your laptop/PC, run installation software which is available on internal camera storage, and follow a few simple on-screen instructions to login in to your wireless network and wait for self-config. A couple of minutes later - you are in business looking at the life stream from your camera. Doesn't get any easier than that. 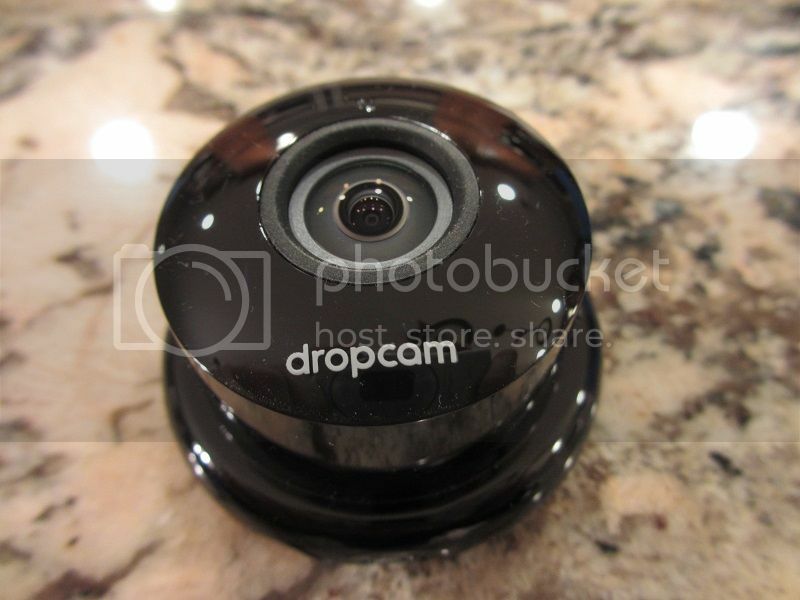 The PRO version of Dropcam features 130 degree diagonal field of view which captures quite a large amount of space. Mounted in the corner of the family room, I was able to capture living room, family room, and the whole kitchen of our open floor plan. The important factor of such wide angle is that unlike other cameras with a narrow view angle where they have to use motor to turn it around, Dropcam doesn't have any mechanical moving parts and can capture a substantial amount of view space with its wide angle lens. There was about 1 second delay in display but that was understandable since you are not connected to the camera directly but rather streaming (with AES encryption) through a wi-fi connection. 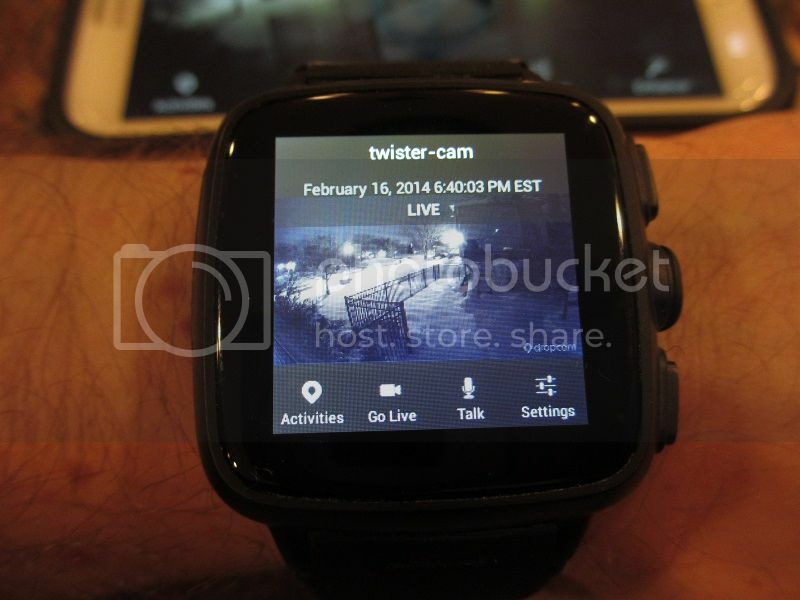 I had Dropcam app loaded on both my phone and my smartwatch, and live streaming image was very crisp and high def. 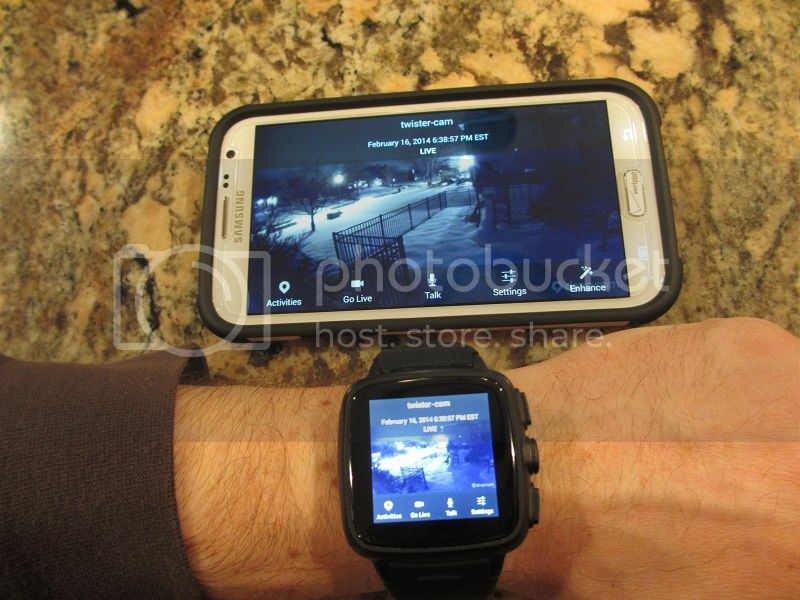 I think a convenience of using Android smartwatch, such as my Omate TrueSmart, is phenomenal since you can be anywhere in the house and view the camera right from your wrist without a need to pull out your phone. Of course, for me the true test of a video camera is how it performs in the dark. I had Dropcam mounted next to the window, and took a few shots right before the sundown and after when it got pretty dark outside. 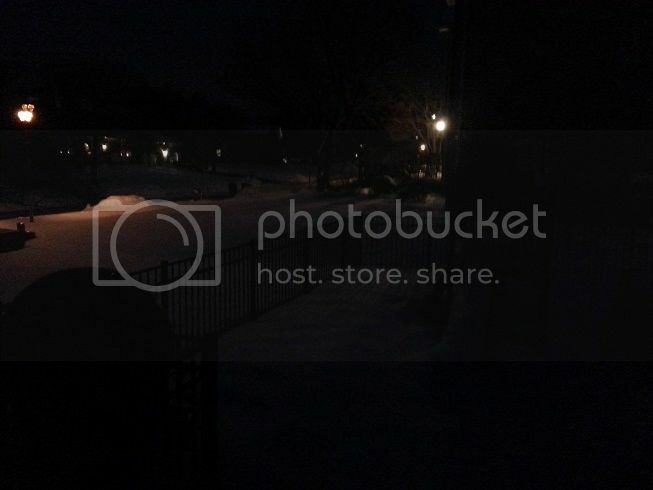 As a matter of fact for comparison I took a picture with my regular camera of how it looked outside in the dark so you can get a good idea of Dropcam light amplification. In addition to viewing a video with a default zoom, you also get 8x digital zoom and option to enhance the video even with a zoom. This camera comes with a lot of very useful features accessible in its setting. 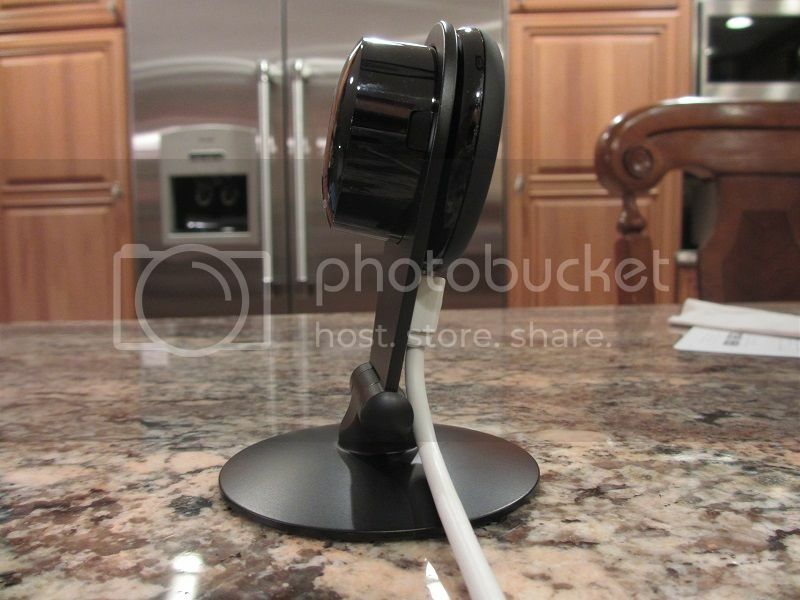 For example, for a mounting purpose you might have it setup with micro-usb connector/cable coming from the bottom or the top, and you compensate this physical camera rotation by 180deg video rotation option. If you want to use it as a security camera and don't want to attract attention to it, the blue led status light could be turned off. Another amazing feature is setup of intelligent alerts triggered by a motion and sound which are sent directly to your email. 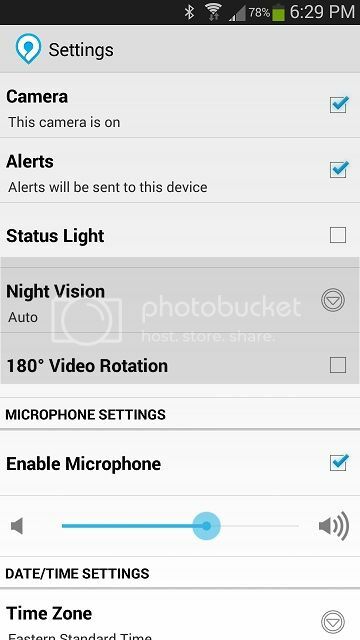 I forgot this feature was enabled by default, until I start getting email alerts with screen captures every time I walked by the area under Dropcam surveillance. 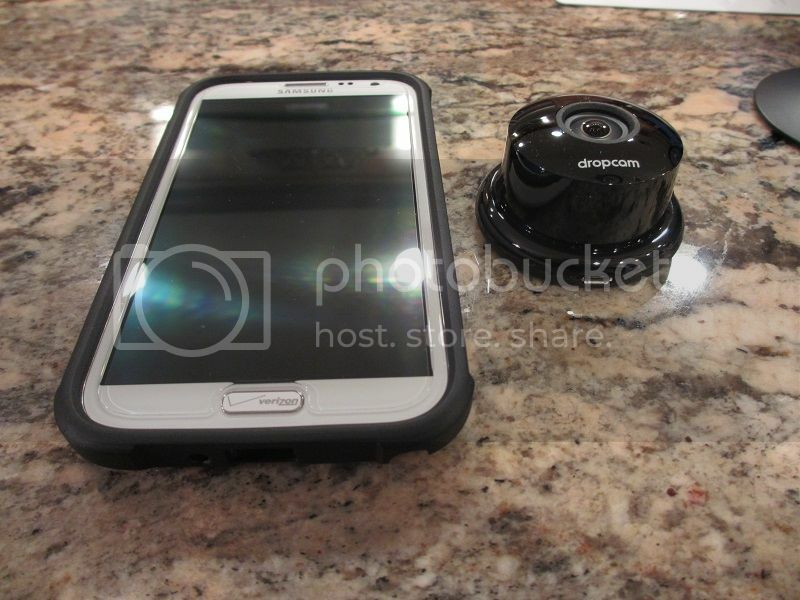 Two-way audio is another great feature where in addition to hearing what going in the area under monitoring, you can speak into your phone to talk through a speaker located on the Dropcam camera. The sound, just like a video, was crystal clear. I don't know how they were able to accomplish that, but even during a normal video monitoring I walked away about 55-60ft from the camera while talking, and I still was able to hear my voice while monitoring the camera on my phone. It definitely has a very high sensitivity quality microphone. 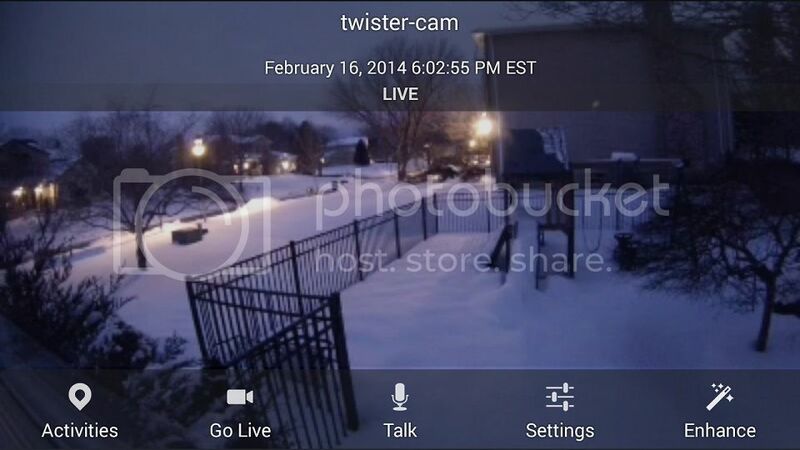 One feature that deserves a special mentioning is Cloud Video Recording (CVR). Offered initially as a 14-day trial, it's actually a paid service which cost $99/year per 7-day continuous recording storage or $299/year per 30-day continuous recording storage. For surveillance/security purpose this feature is priceless. There is no need for providing your own external storage, no need to worry about wear'n'tear of your storage media, no need to catalog anything or worry that someone will break in and steal your storage media, etc. With either of the options, camera records in 7-day or 30-day loop and then encrypts and stores everything on their virtual cloud server. Then, you can login from your computer or tablet and go through a 7-/30-day time line and view all the stored footage. You can also select a specific time interval and save it as a video clip on your computer or smartphone/tablet. 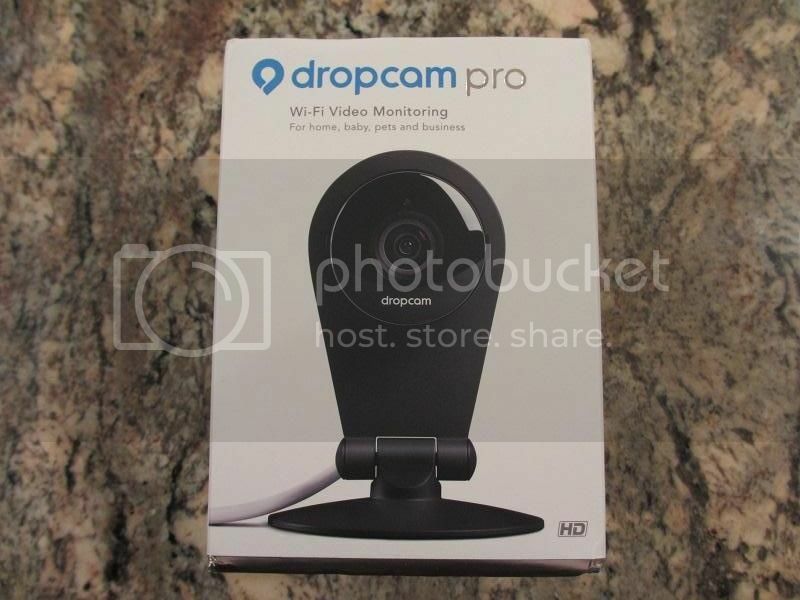 Perhaps if you are using Dropcam for baby monitoring only, this service might not make sense, but if you are using it for video monitoring of your home or business, this is a wise investment. The only music professionals that use wireless headphones are disk jockeys that really need to get rid of those nasty wires that get tangled with their equipment.